Loved it! Far exceeded expectations! Great spot for appetizers and drinks. Service was great, and the appetizers were very good, but the entrees lack flavor. Went to Mesi 21 for my sisters birthday and the food was great,staff was quick and provided excellent customer service. The best food ever!! They used to have a place in Clermont so we came down to Orlando to their downtown location. We genuinely miss their food! Blows all other places out of the water! Scenery is good, good atmosphere. I’d like to come back and try the tower! :-) Overall it was good, nothing great but we’d come back. They seemed to be “out of several things” which is inexcusable for a Friday IMO, otherwise it was fine. We like the views.. happy hour with six dollar margaritas is great and the food is pretty darn good! Great place for fresh Mexican food! We have been here a few times now and it's been consistently wonderful. Fresh food, indoor dining is chic, outside patio has a nice view of Lake Ivanhoe, the service friendly and attentive...we've never been disappointed. Great views on Lake Ivanhoe and great guacamole and margaritas, among other items. We love it! Great service and the food and drinks were delicious. Excellent food and the Margarita Tower was awesome! The food was amazing. My wife and I went here for Valentine Day and we loved the view of the lake. The service was great and the food was very flavorful and authentic. It was presented extremely well. No complaints at all. I am sure we will be back! 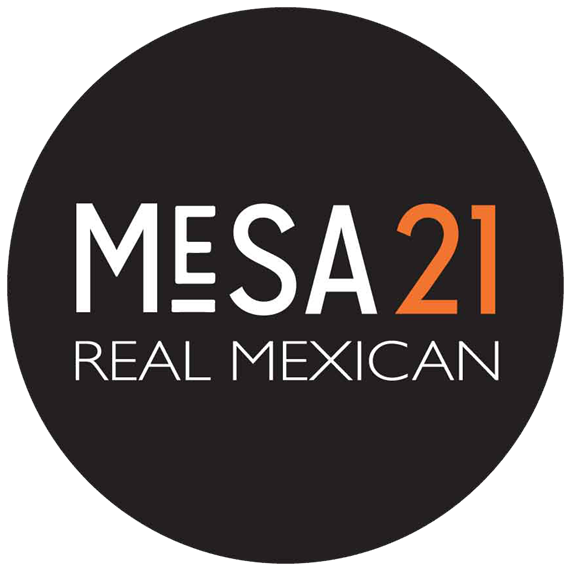 I had lunch with two friends at Mesa 21 and just can’t even tell you how much we enjoyed our time there. Beautiful setting, great service, delicious food. Beautiful view of the lake from inside! Party of 4. Entrees came out for 2 of us. A full 5 mins later 3rd person got food...3 mins later ..4th person got food. We all started eating. This shouldn’t be happening. It’s awkward and unpleasant. Wait for the full order to be ready before you serve. Overall nice experience there. The food is delicious. Qudous to the chef! We had ceviche, roasted cauliflower, and chicken quesadillas. There are few things they can improve though. 1- the valet guy had some attitudes. You know like people who think they are the managers are valet section and clients has to follow their orders or so. Food and atmosphere are amazing! Service was slow. Guest requested tea that never came. Great place to meet friends. Awesome outdoor view to the Lake. We enjoyed our visit. Everything was wonderful. We will definitely be returning. Refreshing Mojito and, once again, we ordered too much food, even though we cut back! Everything is yummy. Couldn't take a to-go box unfortunately as we were heading to a symphony concert and car would be in a parking garage for multiple hours. Ah well, maybe next time I'll bring a ice bag for the car! Our waiter was awesome and patient!!! He found the right wine for us and let us visit with each other before taking our dinner order... The entrees were served very quickly!! Second time there for the Sunday brunch and loved it just as much as the first time. Great food and drinks! Food was amazing! Went for the Sunday brunch. Service was excellent! Went while we were on vacation in Orlando. Will definitely come back next year! Pretty View, (Mostly) Awesome Service! Mesa21 was a phenomenal experience all around. We were seated immediately, our drinks came quickly, and our waitress was personable and knowledgeable. Our server Jordean was amazing! The kids food is great! The adult food is a bit pricey. Service and food were both phenomenal! My vegetable enchilada was delicious! Two-for-one margaritas Made for a tasty combo! One of the places I took my husband for his birthday, it was great!The food & the ambiance (not to mention the view of the lake) were all A1.We will definitely be back again. The quality of the food was excellent. It cost a little bit more but you can appreciate it.